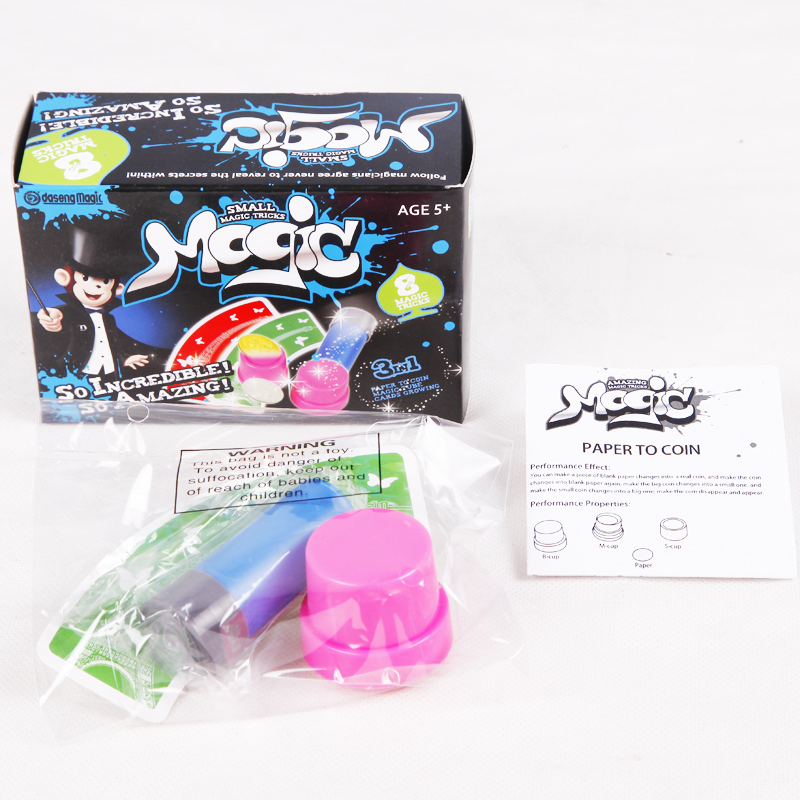 Item SMK-004 is a small magic set with Paper to Coin, Magic Tube and Growing Cards. SMK means small Magic Kit. For SMK series there are in total 5 different collections and each contains 3 individual tricks that have designed to create maximum impact. 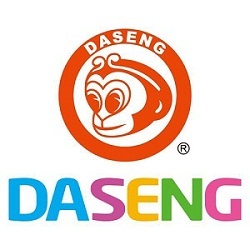 This series were designed by Daseng in the early 2014 and came out to public in 2015 Hong Kong Toys Fair. Each box we have a paper instruction showing you 8 games. For Kit SMK-004 the first trick is named Paper to Coin. 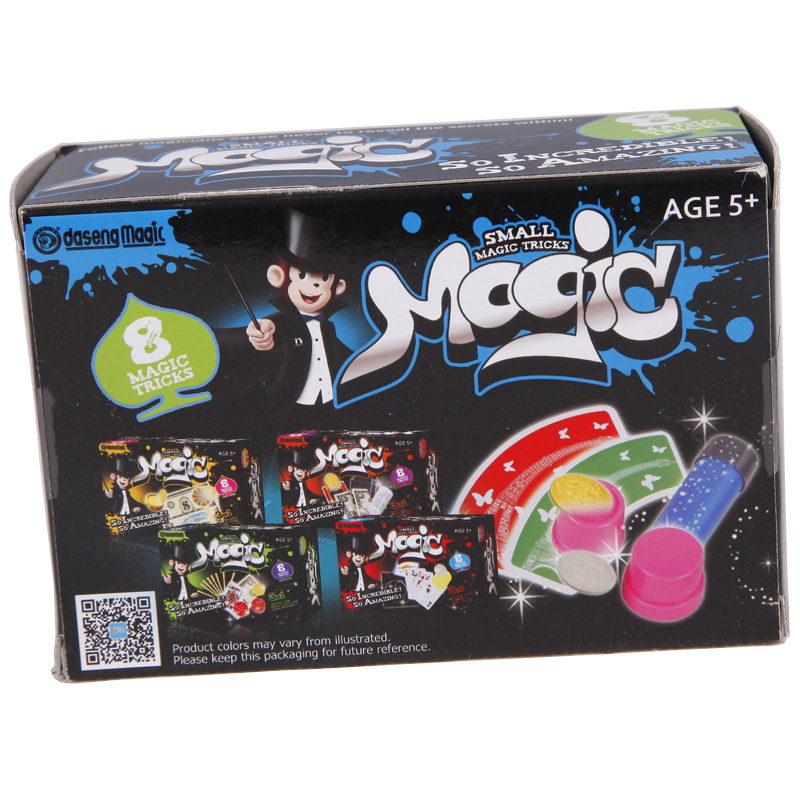 Suitable for children aged 5+. With the case, paper could be changed into coin, the coin also can be changed. The second trick called Magic Tube. For this trick, any thing that can be put into the tube will change into water. For the third trick Growing cards, two same cards at magician's hands compete in growing up. 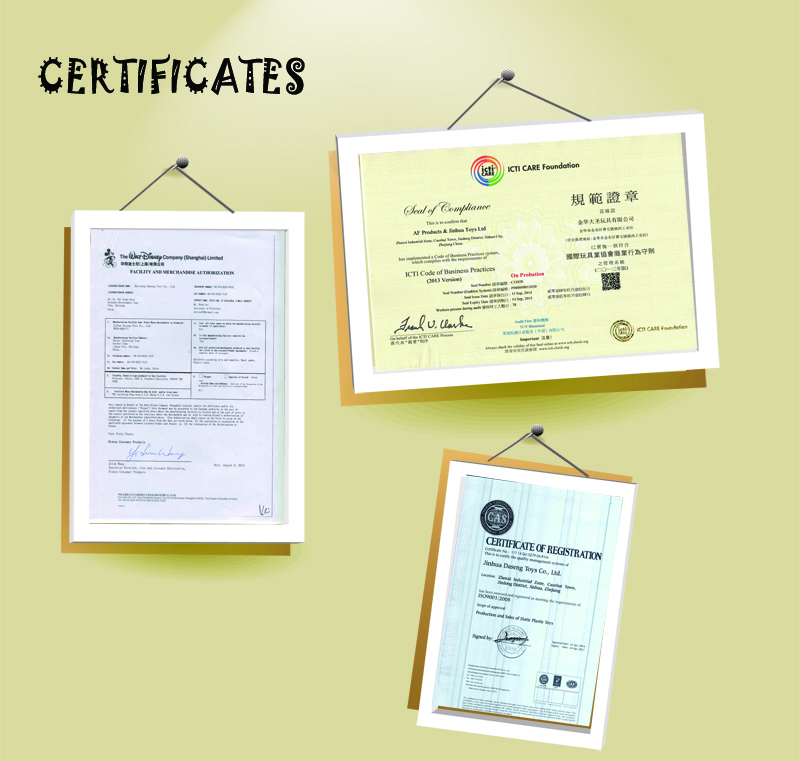 Looking for ideal Magic Paper Turn into Coin Manufacturer & supplier ? We have a wide selection at great prices to help you get creative. 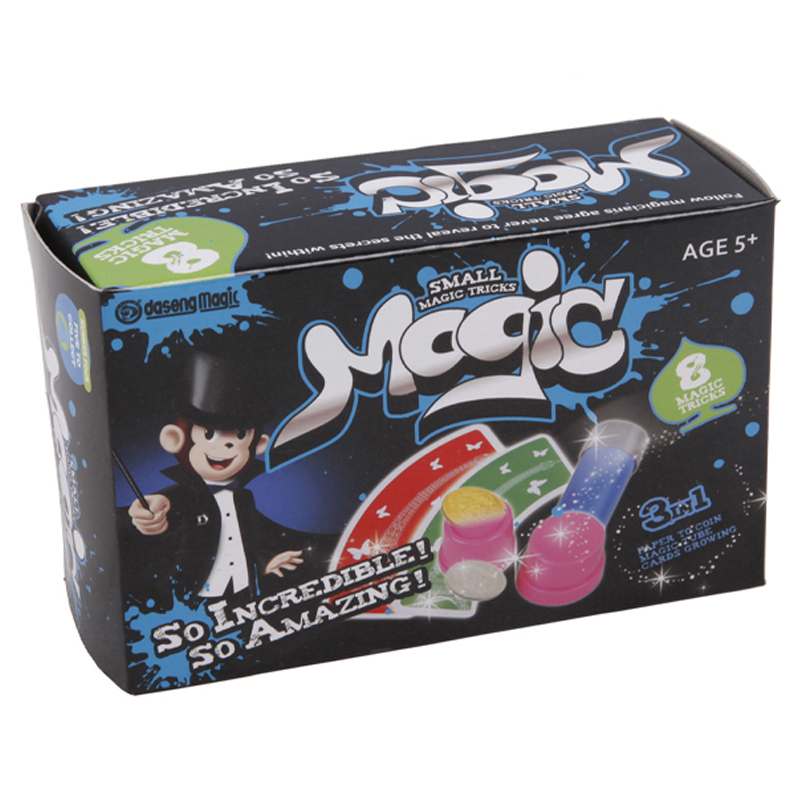 All the Small Magic Tube are quality guaranteed. 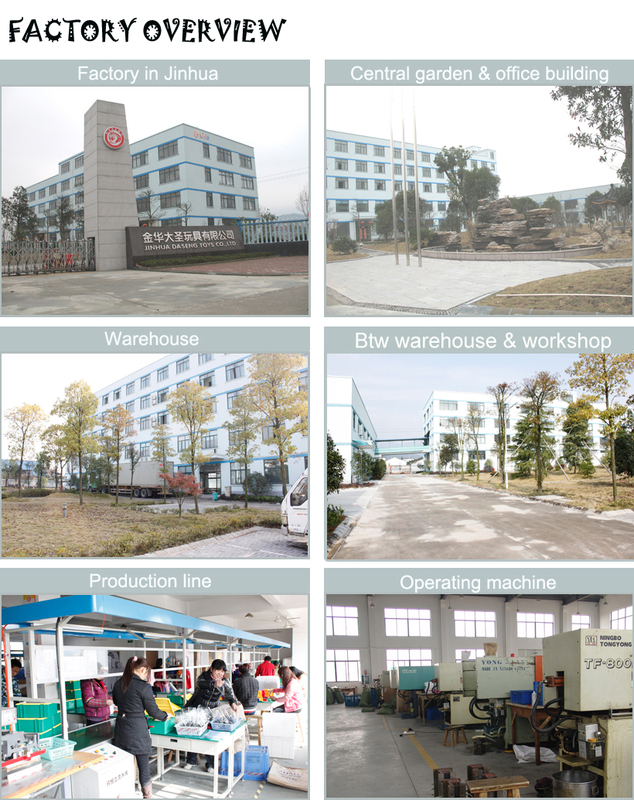 We are China Origin Factory of Magic Growing Cards. If you have any question, please feel free to contact us.